This month. 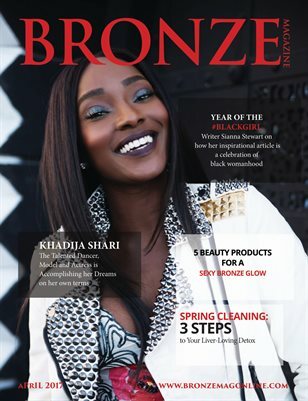 talented dancer, actress and model Khadija Shari graces our cover this month. Khadija has danced alongside superstars such as Beyoncé and Rihanna, and has worked with Pharrell Williams. In an intimate interview with our photographer/writer Amina Touray, she reveals her journey to stardom and shares about who has inspired her along the way.